Over on his personal website, Rob Liefeld has written one of the best blog posts I have ever read. How To Beat The Haters (How I Do It) comes straight from the keys of the man who infamously gave Captain America breasts. The detailed post not only provides thought-provoking insights into the man himself and his career, it gives solid advice on how to deal with negativity from others, from a comic pro who even his critics I think can admit, has shouldered more than his share. For me personally, I like Rob Liefeld's work. 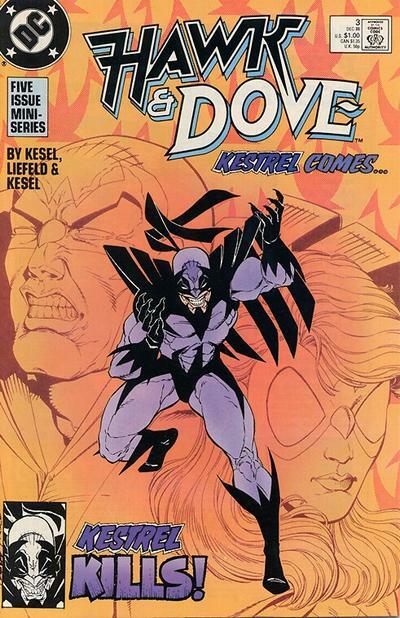 I have since I first picked up his Hawk and Dove mini series from DC (which I still feel is some of his best stuff). Except for X-Force, I missed most of his x-work, but made up for it on his Image work, and yes, as a massive Cap fan - on the Heroes Reborn versions of Avengers and Captain America. I understand his art is not to everyone's taste and respect that, just like I understand some paintings by artists such as Jackson Pollock baffle 'art-lovers'. Jackson's work can be described as paint splatters that look deceptively random, yet still generates millions of fans, imitators, emotion and more importantly from a commercial perspective - sales. Rob is the same. Not everyone sees it this way and as a result allot of negative feedback has been posted on his work across the internet. If it's the poster's honest, well-conveyed opinion, that's awesome - difference is what makes the internet and life such a rich thing to explore, but sadly in Rob's case, some of these entries fly beyond 'opinion' into classless, uncalled for, caustic vitriol. I usually steer clear of these 'trolls' and sites which allow unmoderated attacks like these on creators, fans, humans, inhumans or otherwise to run. I always wondered if the creators at hand were aware. Turns out Rob is and was, and the blog entry he has written on how he handles it should not just be considered required reading for his fan's and non-fan's alike - but anyone in life struggling to deal with negativity projected towards them from external sources. To read it for yourself, please click here.